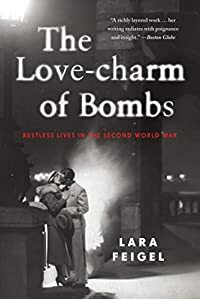 This entry was posted in Books and tagged Elizabeth Bowen, Graham Greene, Henry Yorke, Hilde Spiel, Lara Feigel, Restless Lives in the Second World War, Rosamond Lehman, Rose Macaulay, The Love-charm of Bombs by Katrina. Bookmark the permalink. This is a MUST read for me. Will sort out how I can get a hold of it somehow. Fascinating review. I’ve been reading books by these authors in the past year or so and would love to have a nonfiction book to go along with it all.